The pinhole images made at the workshop on 3rd & 4th May are on display now at the West Cork Arts Centre. The pinhole images were printed on acetate and displayed in a light box as part of the Ealaion na Gaeltachta project 'Cape and I'. These are some of the images captured at the workshop last weekend. Each participant made their own coffee can camera and then subsequently experimented with it to see what would happen - Something definitely happens with these images that is quite compelling. I think I am missing a few images that are still on Cape, if I get them I will load them on also. The May Bank holiday weekend passed in a frenzy of activity, making cameras and photographs. Thanks to Catherine Ryan who co facilitated. I hope the pictures below are a reminder of the fun we all had. I am really looking foward to next week. I have been invited to Cape Clear Island to do a pinhole camera workshop over the May Bank Holiday weekend. I am busy assembling materials wondering what it is that I will inevitably forget to bring with me and whether I will be able to source its alternate on the island. Cape Clear is about 40 mins by ferry and 15 minutes by car from the nearest hardware shop so you can see why I am a bit concerned. 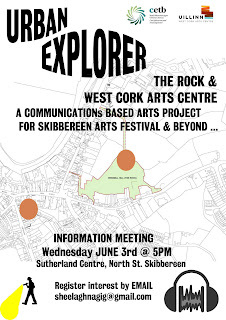 The workshop will be contribute to a larger project being run on the Island by Bernadette Cotter. My part is to facilitate those with an interest in alternative photography to create pinhole images that will be shown alongside other work. I have been scavenging materials from many sources. I have the basic Lidl coffee can, but also some cans appropriated from the civic amenity site in Macroom. I think that this may be one of the last pinhole workshops that I do as disposal of the toxic corrosive chemicals used in developing photographs is such a problem...unless I can find a better way to develop images, I intend to concentrate on solargraphy. A Cosmopolitan Cosmology is the name I gave to the next phase of the solargraphy project initiated on Sherkin last year. The project revolves around the idea that it is relevant to all people at all times in all places, but most especially those who have a link to Sherkin Island. It will explore space and time through the process of solargraphy and strengthen relationships between those who live on the Island and those in whom the Island lives (although they may live many miles apart). 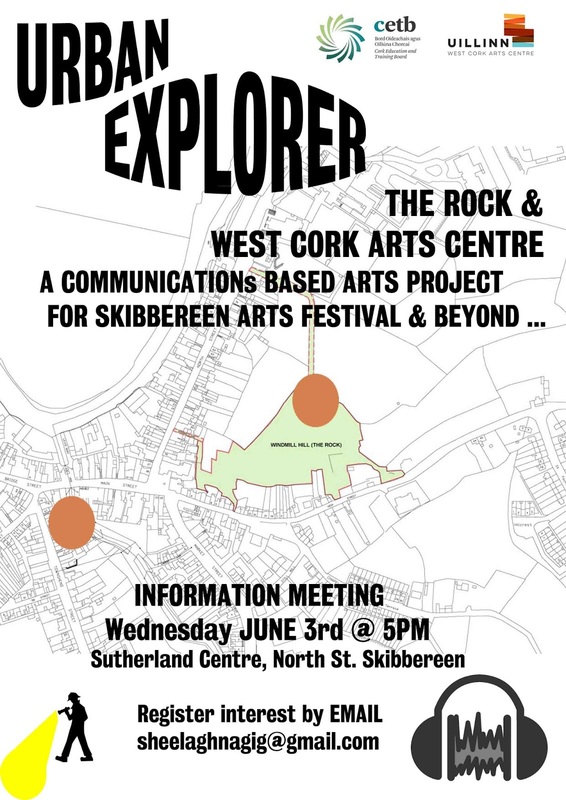 The project application was made in association with Sherkin Island Development Society and was awarded a second round of funding by the Arts Council through the Artist in the Community Scheme managed by Create.